‘Tribal War Ina Babylon’ – The role of reggae in the West Indian journey to Bristol. There is a fair assumption among some academics that Bristol is a ‘microcosm of wider society’ in terms of its West Indian population. It possesses similar social characteristics as Britain’s larger cities, including migration and housing patterns, employment opportunities, race relations, and the music created and consumed. This assumption, however, has led to a lack of incentive to study the history of this ethnic minority’s settlement in Bristol and, more importantly, the cultural response to their new surroundings. This is less true in reference to anthropology and sociology, with Pryce and Richmond conducting studies in the 1960s and 1970s. But in terms of social histories, only Dresser and Fleming have provided a comprehensive example, while Ruck paid fleeting attention to their presence in the 1950s. Coverage of Bristol’s most significant West Indian music – reggae – is less apparent. National studies focus mainly on London and Birmingham, and make passing references to Black Roots and The Bamboo Club, Bristol’s most famous band and venue. As a result, the community and social importance of the music are paid a huge disservice. This dissertation will trace the history of West Indian immigration in Bristol in the context of its vibrant reggae scene, something that was overlooked in the history of one of Britain’s most important musical movements. Through interviews with Bristol’s two biggest reggae bands and a label that is releasing lost and forgotten reggae from the city, it will show that while Bristol’s scene failed to achieve national recognition like that of London and Birmingham, the social and political conditions that it interacted with were no different. It is useful to look at the emergence and impact of reggae in Bristol as an historical journey: physically, from the music’s origins in Jamaica to a city that provided work to diligent and capable colonial citizens; and spiritually, back to Africa, a motif used by Rastafarianism as a source of identity, strength and rebellion in the face of racial discrimination and disillusionment. From its genesis in Jamaica to emerging in Britain, reggae has been characterised by its distortion and subversion of white culture, namely language, ideology, style and musical form. The patois used by singers and sound system deejays was originally an imitation of their English slave masters and the only way that mixed African tribes could communicate. It then became an underground language that was incomprehensible to outside ears and an assertion of Caribbean identity. Rastafarianism was the religious embodiment of this and the ideological foundation of reggae. It reinterpreted the bible to make it relevant, comforting and empowering to a marginalised race. The style that came out of this was free from Western formalities. Dreadlocks, loose-fitting clothing and headwear and marijuana were all expressions of freedom and a higher form of living. The music itself was influenced by soul and jazz, yet by emphasising the offbeat, it was the rhythmical antithesis of Western styles. It was caught between the ‘melody of Europe’ and the ‘rhythm of Africa’, a music in transit that addressed an African diaspora in a similar position. This dissertation will break down the journey of British reggae into what Mykaell Riley terms the ‘three ages of reggae’. The first started after World War II with the Windrush generation. They arrived as Jamaican adults, bringing with them a notion of Britain that had been instilled through a colonial education and a West Indian, mostly Jamaican, musical experience, which they imprinted on their new surroundings. Their children formed the second age of reggae. They were British either by birth or association but looked to Jamaica for their cultural education and Africa for their spiritual one. Max Romeo’s ‘tribal war ina babylon’ concept became as applicable in Britain as it originally had been in Jamaica. A different type of rebellion was expressed and thus a new brand of reggae emerged. The third age of reggae is when the second generation have become the last remaining connection to West Indian heritage for their British children. They are ‘gatekeepers’ of a unique British experience, but one that is underrepresented in academic terms. It has taken a white ‘rock’ band, The Knife, to bring national attention to the fact that ‘music history is written by privileged white men’, something that was already apparent to the victims of this exclusion. This dissertation is therefore a timely study when British reggae in its own right has become historical. Since 2004, Mykaell Riley has attempted to incorporate this into academic and educational discourse through a concept called ‘Bass Culture’, looking at reggae’s influence in Britain in the last 50 years. In 2012, he bought this concept to international audiences at the South by Southwest conference, and in 2014 this will become the first major black music exhibition in the UK. Quite separate, but equally representative of the current climate, Bristol is experiencing similar activity. BAR and a lottery funded Ujima Radio project called Dubplate to Dubstep are telling this story from a local perspective. Because this city has been as underrepresented as the cultural history of West Indians in Britain, it offers an important new perspective to accompany this wider resurgence. This dissertation hopes to capture this energy and present it in its social and historical context. If there were clear rules about how to migrate quietly to Britain, they would have started first, be white, and second, if you cannot be white, be small in number, and third, if all else fails, feed the brutes. The West Indian migration failed each rule. Confined to sporadic, individual migrations, there were few West Indians in Britain before 1945, let alone Bristol. The war changed this when Jamaican RAF recruits settled near the Bristol base they’d served at. The CA started in 1948 attended by about a dozen such men and their wives,  then the Bristol Co-operative Education Department and the British Council’s Bristol Office helped them integrate into British society. This entailed assistance with housing, employment and cultural difference the encountered in Britain. Another source of early post war migration to Bristol was from trade ships arriving in Avonmouth from Jamaica; between 1950 and 1955, police reports refer to 159 stowaways being apprehended. Word of mouth about Bristol’s diverse employment opportunities and racial tolerance encouraged friends and family to follow. As a result, Figure one shows migration to Bristol increasing exponentially in the 1950s and 1960s; note the sharp increase after 1960, caused by the ‘beat the ban’ rush following news of anti-immigration legislation. This is consistent with Britain generally, where migration peaked in 1962, with more than 34,000 West Indians arriving. Due to chain migration patterns, a high proportion of West Indian migrants in Bristol came from Jamaica following those first settlers. Roy Hackett for example, who became one of black Bristol’s most active civil servants, followed his cousin who was demobbed in the city. When University of Bristol researchers interviewed 76 elderly West Indians in 1983, 80% were Jamaican. On arrival in Bristol, many settled in the Ashley ward, largely in St Paul’s. During the war, central Bristol, including St Paul’s, was heavily bombed and the subsequent rehousing projects led many white families towards the suburbs. This left St Paul’s as one of the ‘last great reservoirs of rented accommodation in the city’. Initially this was popular with white immigrants after the war, but as more West Indians arrived unable to find housing elsewhere, the area’s demographics changed. Although they were forced here through housing discrimination, Bristol’s indigenous population, believed this new settlement was voluntary and subsequent deterioration of the area deliberate. A 1953 police report stated that ‘despite good wages [West Indians] are often content to live in conditions of squalor’, and this view was also shared by the public. 89% of 198 people interviewed by Michael Lyon in the early 1970s considered it as one of the worst three neighbourhoods in Bristol. In another study, 54% of 192 people Lyon interviewed saw the area as ‘distinct and different’ because of its black immigrant population. He then asked why this area had such a bad reputation and of the 275 reasons given, immigrants were the second highest cause. The reality was that West Indians were forced to settle in an already run-down area through financial difficulties, local authority policy and discrimination from private sector landlords. Unable to buy property, most immigrants had to rent or apply for council housing, but to qualify for the five-year council waiting list, applicants had to live in the city for a year. Most were thus forced to rent, but found this impossible in many areas. Arriving in winter 1957, Hackett walked along Lower Ashley seeing signs saying, ‘“No Blacks, No Gypsies, No Irish, No Dogs”. When there wasn’t a sign I knocked on the door’. Some immigrants could afford to buy property to rent to their contemporaries, like the Cookes, described as ‘one of Bristol’s earliest, most influential’ black families. If individual wealth wasn’t enough, ‘pardner’ groups developed, where up to fifteen people pooled wages to buy a house to share. Whether renting or buying, exploitation was common. The restricted property availability in Ashley created an inflated market, enabling estate agents and landlords to dictate prices or add charges. The feeling of alienation this discrimination created compounded the unfamiliarity of their new surroundings, encouraging the West Indian immigrants to ‘stick together’. Rather than being content living in undesirable, bomb-damaged St Paul’s, these circumstances probably would have removed any incentive to improve the area. This combination of environment, population density and settlement patterns meant that St Paul’s started to resemble a ghetto. However, the pre-war inner city slums across Britain proved that restricted circumstances could also cause these conditions among white residents, so the views of local residents and the police above showed a distinct lack of understanding. Peach’s belief that ‘the ghetto is the geographical expression of complete social rejection’ is a useful way into exploring employment as a second aspect of this experience. Immediately after the war there was a high demand for labour in Britain and the 1948 Nationality Act encouraged its empire to meet it. Jamaica also suffered during the war, making this demand especially appealing: the cost of living doubled from 1939-45 and there was no social security for the unemployed. On 22 June 1948, the Empire Windrush docked in Britain from Jamaica in the first mass arrival of West Indian migrants. The previous day, the London Evening Standard declared ‘Welcome Home’, to those who served in Britain during the war, while Peter Fryer’s account was headlined ‘Five Hundred Pairs of Willing Hands’. This reception hid the reality that many undesirable jobs and shifts needed filling. Although the skill level of migrants was high, Ruth Glass’s 1958 study of West Indians in London found that 55% underwent job downgrading after migration to find work. This acceptance is summed up well by Hackett: ‘you have to take what you can get before you get what you want’. In Bristol, this applied to the NHS and British Railway, the main two employers of West Indians. Female qualified nurses found employment as domestic workers, ward orderlies and nursing assistants clearing out bedpans. ‘In a trade where compassion was essential it was not shown to the black workers’, who had to work 48 hour weeks, including weekends and bank holidays. Technically qualified men found railway work as engine cleaners, shunters, electricians and boilermakers, positions on public transport that prevented them interacting with the public. Although the primary reason for these early migrations was work, Hiro saw this ironically become the focal point for discrimination. As more immigrants arrived, the ‘lazy black man’ image – ‘as old as the slave trade’ in the British subconscious – was revived, alongside the perception that single black men were threatening white women and black homeowners were overcrowding and degrading inner cities. This ‘new racism’, as Barker termed it in 1981, links ideas of patriotism, nationalism, xenophobia and Englishness. As a legacy of Empire , Britain’s strength was judged by its homogenous national stock; diluting this threatened its redevelopment. Fearful of losing voters and conscious of rebuilding a strong, united post-war country, British politics ‘surrendered to racism’, leaving West Indians, to defend themselves in a country that had initially welcomed them and provided so much hope. In 1962, the passing of the Commonwealth Immigration Bill became a legal acknowledgement of this government ‘surrender’, which limited entrance to those with employment vouchers. Even before its passing, by confirming immigrants were undesirable, it united West Indians and Asians through a realisation that they must help themselves. In 1961, Hackett and six others formed the CCC, so the next generation could ‘have an easier life’ in Bristol. They helped with school admissions, unemployment registers and church involvement, among other things. Similar organisations were started across the country, including the Coordinating Committee Against Racial Discrimination and the Committee of Afro-Asian-Caribbean Organisations. Initially the emphasis was on Britain’s non-white immigrant population, but as Black Power became vocal in the 1960s, a distinction from the Indian experience appeared. In 1975 the CCC changed its name to the Bristol West Indian Parents & Friends Association, accommodating yet markedly exclusive. As well as Black Power ideology, the American civil rights struggle also influenced the CCC’s protest methods. In the first example of the CCC being involved in external matters, a bus boycott was organised by Paul Stephenson in April 1963 against the BOC after they rejected a job application by Guy Bailey on account of his colour. Stephenson had observed similar tactics in America and after the BOC capitulated on 28 August he hailed it as ‘the first major struggle that black people had around the civil rights issue’ in Bristol. Marr saw the 1958 Notting Hill riots as a ‘racial Dunkirk, the darkest moments after which the real fightback would start’, and although Bristol’s equivalent wouldn’t occur until 1981, this comparison still applies to the 1963 boycott. It gave West Indians in Bristol a sense of ownership and power in a city where they felt unwelcome. This emerging community spirit in St Paul’s was also expressed in the establishment of the St Paul’s and Montpelier Festival in 1968, later becoming the St Paul’s Carnival. Initially just a reward for the community, it became a celebration of national pride for Bristol’s West Indians, and was attended by about 2,000 people, sizeable considering the West Indian population was less that 10,000. Figure two illustrates the emphasis of entertainment, an opportunity rarely available to first-generation migrants. Although there was a high demand for West Indian labour after the war, British culture was not ready to accept these new residents, emotionally and with the social infrastructure available. In terms of its entertainment opportunities for West Indians in the 1950s, Bristol appeared a ‘no-man’s land’. The colour bar on jobs and houses also applied to social spaces. Stephenson was even arrested for refusing to leave the Bay Horse Pub on account of his colour. It is through this type of exclusion that the blues parties began. They were temporary gatherings, ranging from house parties to formal locations like the Ajax and Valentines establishments in St Paul’s. Pryce interestingly compared them and the church as ‘highly stylised ethnic institutions’, ‘cathartic’ through its use of music and emotion and deeply rooted in the black experience and its culture. He is correct in a sense, but one was spiritual, the other hedonistic and morally impure. Pryce, who distinguished the attendees as ‘proletarian respectables’ and ‘disreputable’ youth, acknowledged this, but it was not so rigid; Bristol’s need for such entertainment was universal, and the blues accommodated for this with areas for music, dominoes, drinking and smoking. Therefore, it is more accurate to see them as a ‘raw, undiluted inroad into Black Bristol’, away from law enforcement and discrimination. Unlike the church, they were a precedent for the sound system culture that emerged in the 1970s as underground entertainment for Bristol’s next generation. In the 1960s there were no social or entertainment centres in Bristol that welcomed West Indians…when they walked into the Bamboo Club they felt like they were walking into Jamaica. They came in and were 100 per cent relaxed – it was their place. The Club had five bars and a booth where DJ Hank played Jamaican and American soul. It had two stages where international artists like Ben E. King, Derek Morgan and the Mighty Diamonds played, but it wasn’t just the music creating the homely environment. There was Orange Grove, a West Indian restaurant; the Cave Bar where people played darts and dominoes; it was the headquarters for the Bristol West Indian Cricket Club, Tony being a founder; and it had a football team. Membership was two shillings but ‘the essence of the club wasn’t…profit margins’. Individual elements were run with business-like effectiveness, yet overall Bullimore ensured its principles were inclusiveness and respectability. It became something West Indians were proud of nationwide, and Bullimore remembered four to five hundred people coming from Birmingham, Manchester and Liverpool on their busiest night. Visitor testimonies in Barby Asante’s short film, Bamboo Memories, capture the enduring legacy among that generation. For Tony to describe it as a ‘social centre within a scene’ is perhaps doing its impact a disservice. The younger generation who were just old enough to venture onto its banana leaf carpets, were moved by its energy, its inclusiveness, and its refusal to bow to discrimination. As a result, it became the point around which a scene evolved even after it burnt down in 1977. This becomes clear in the final chapter, but first, we must look at the social conditions that enabled the scene and its rebellious youth to emerge. Consistent with national migration patterns in the early 1960s, many parents sent for their children to join them in Bristol, once they were settled with accommodation and employment. While West Indian children experienced difficulties at school, evidence collected by this author suggests racism was less than what they experienced as working adults; this evidence contrasts with Pryce’s assertion that schools were ‘racist’. While they may not have been at an institutional level, assimilation was not widespread. As with all Caribbean folk, if ever you’re going anywhere, you have to dress really well. I dressed in a nice floral shirt with a matching tie. I got in front of the panel and this guy asked what kind of children I thought the course was for. I replied it was for children that don’t get many opportunities and are underprivileged. He looked at me and said, “but you don’t look very underprivileged” and I didn’t get on the course. This wasn’t just misunderstanding West Indian culture, but a calculated attempt to outsmart a thirteen-year-old trying to make a good impression. Dehvan’s mother had dressed him like this, and the style reflected her generation’s aspirations in a new country, dashed because their style was too garish for British taste. As Hebdige notes, ‘both the dreams and the disappointments of an entire generation were thus inscribed in the cut of the clothes which it chose to make its entrance’. While this is eloquently put, it is perhaps too simplistic to attribute black rejection and withdrawal solely through their contrary fashion. As a boy, Dehvan admitted ignorance of the racist undertones of this rejection, but by the time these incidences infiltrated the workplace, his generation were less prepared to accept it. So, regardless of individual examples, schooling had one important distinction for second-generation migrants not experienced by their parents. They were educated alongside whites and graduated with similar aspirations. The transition between education and employment is where the collective experiences of youth changed according to colour, and where the trajectory towards alternative lifestyles and cultures began in earnest. Unusually, Othieno’s transition from school to employment was smooth, having worked as an Inland Revenue clerk before graduating then continuing full-time. Nonetheless, the Civil Service also suffered from racism. After being promoted to tax officer, he often met people to discuss their affairs: ‘they would come in and you’d see them thinking “you’re black, you didn’t sound like that on the phone”. And one person actually said that to me’. This ‘blanketing’ of all coloured people, irrespective of their occupation, social standing or birthplace – many school leavers by the mid seventies were born in Britain – compounded the affects of discrimination. This undermines Richmond’s argument, which found a positive correlation between the education and acculturation of West Indian children, and the frequency they were exposed to discrimination. The fact that ‘immigrant’ and ‘black’ had become coterminous in the 1970s meant that racist practices were employed – ironically – indiscriminately. In employment, the gap between expectations and experience was greater and so, in turn, was the injustice felt. This led to the marginalisation not just of the deviant West Indian youth, but also of those who left school with high achievement and aspirations, like Othieno. One of my white friends would go in where there would be a job available. He’d come out and go “Nah I didn’t take it”. Then I’d go in and be told the guy before you has just taken the job. So then we’d go back together. We did that on so many occasions and initially it was funny and then the penny dropped. I realised we’re not the same; all my opportunities are just not the same. At that point, my whole life changed. It was like a sledgehammer in the back of your neck. There are comparisons here with the 1963 boycott, and Mykaell was not alone among his generation. The number of second-generation immigrants receiving a full education in Britain rose, but not their ability to find work. As the British labour market became more service-based, a report by the London Youth Employment Offices revealed that white youths in deprived areas were five times more likely to get skilled jobs than their black counterparts. In the late 1960s there were three jobs for every two school-leavers but the ‘average black school leaver’ could not be a part of this emerging economy. A 1978 report of West Indian school leavers in Ashley and Easton by the Employment Working Party revealed that while 141 had CSE grades 1-4, over 100 had no qualifications. So even though the growth of the service sector offset the loss of factory jobs and created a nationwide job surplus, this had little impact on most black workers who were semi or unskilled. It seemed that job prospects had not changed in a generation, but what was different a decade later? As Riley illustrated well, blacks and whites were now growing up together and interacting at school. Even if they didn’t seek jobs together, awareness of the racial disparity was greater in the second generation. Unlike their parents, they did not unconditionally respect their host country, nor accept the status quo. Starting at school and exacerbated on starting work, the second generation were deeply disillusioned. Although the source was white racism, it was sometimes augmented by their parents. All West Indians were in similar circumstances, but the responses of the various age groups were different, and the sense of betrayal from both sides drove a deep fission between them. Hiro classes the first generation’s response as ‘evasive’ and it epitomises how the second generation viewed their parents and the way they adapted to their new country. To deal with discrimination in housing, they withdrew into the undesirable areas and formed ghettos, and to combat being ostracised by white Christian communities they formed separate Pentecostal parishes. This passivity was a poor ally to their children’s resistance to oppression. In the 1970s Pryce interviewed three adolescent West Indians in Bristol, who described their parents as ‘too sheepish’ and ‘out of touch with our problems’. Forty years later, Dehvan recalls his parents being ‘meek’, while Ngozi’s main issue was with their entrenched colonial values: ‘everything the master say, they say how far? But our generation were questioning why we should jump’. It was a sentiment shared at the time and clearly still endures. Getting chucked out of home was worth it. There was a system going on when you could be fed and you be free, and know more about your culture…the most brilliant thing about it, you felt Jamaican. This support ‘system’ was created by places like the Black & White Café. It served Caribbean food 24 hours a day and people would congregate to play dominos or just socialise outside in true West Indian style. Othieno explained its appeal as ‘a homing thing…it was a community centre, it just wasn’t called that’. Coming from someone then part of a stable domestic environment, one can image the importance of the Black & White for youth on the streets. The most interesting thing that Stevenson raised was the liberation of leaving home. It hints at a counter-narrative that was unravelling in the conscious of young blacks in Britain. Rather than obtaining greater liberty from 1833 up to Jamaican independence and emigration, the opposite had happened: economic dependence on America and Britain had increased poverty in Jamaica; emigrating to Britain to seek a better life had created black prisoners in a racist society; and those that stayed in Jamaica to witness political independence were being persecuted by their own government. Estrangement from family then society intensified the need to explain and solve all this and Rastafarianism they found important answers. Cashmore suggests the association between second-generation West Indian migrants and Africa became one of the most ‘socially consequential phenomena in the history of black presence in England’. It was simultaneously a source of identity and a solution to many unanswered questions. Mirroring the sentiment on the Jamaica coat of arms, ‘out of many, one people’, Rastafarianism had the power to unite a marginalised and disillusioned demographic, sparking a spiritual and cultural revolution. When Haile Selassie, or Ras Tafari, was crowned the first black emperor of Ethiopia in 1930, he fulfilled the prophecy of Marcus Garvey: ‘look to Africa for the crowning of a black king for He shall be the Redeemer’. So ‘Back-to-Africa’ became one of the central motifs of the movement, reversing the forced migration of slavery by repatriating the homeland. In answer to Cashmore’s question though, this was more a spiritual migration than a physical one. Despite being born in Jamaica and living in Britain most of their lives, Othieno and Ngozi consider themselves African, yet neither of them live there. Dehvan has visited and hopes one day to settle there, but Jabulani hasn’t, explaining that ‘in my mind I live in Africa everyday’. Relinquishing his slave name Errol Thompson to the Nigerian Jabulani Ngozi no doubt reinforced this. Rastafarianism was also a religion that came out of a need for ex-slaves to explain the contradiction that underpinned Christian ideology; the religion their ‘masters’ forced on them also supposedly justified their incarceration. It reinterpreted the bible’s metaphors and frames of reference to relate to their own condition, which include: delivery of the righteous; retribution for the wicked on judgement day; and Zion, the promised land for the enslaved Israelites. Adopting this black perspective was a remarkable act of ‘heretical convergence’. It integrated Black Africa into the bible, ‘the civilizing agent par excellence’, in a way that simultaneously promoted the former and challenged the existence of the latter. Such a physical and spiritual rejection of European values made it easily transferrable to Britain, where Romeo’s ‘tribal war ina Babylon’ theme became even more relevant. The doctrine became a ‘localised reworking’ that emphasised ‘blackness’ in an increasingly racist white society. Why did it appeal so strongly? Rastafarianism offered new perspectives on a life of hardship in Britain, where the denial of resources by the white man was comparable to Jamaican poverty. The former was inflicted by the marginalisation from a racist society, while the latter was a consequence of a third world country recovering from slavery. Coming from Jamaica to an English school, the majority are Europeans, and all they’re teaching you is European history, from Henry VIII to Shakespeare. Those were foreign to I. I don’t mind learning about them but still I want to learn about my Shakespeare, my Henry VIII. I was looking for identity. This reflected a white, elitist history taught in British classrooms. E.P. Thompson’s 1963 The Making of the English Working Class started to undermine this hegemony, but according to class not race. Black children were taught the history of a society that had subordinated their ancestors and would discriminate them once they tried to enter the workplace. This racial bias set a cycle in motion where disinterest and disenchantment bred underachievement and lowered expectations; it created a ‘missing dimension’ in their lives. Rastafarianism filled this void by telling the history of the black race with pride of its culture and tradition, becoming a source of strength and identity. As Othieno explained, people in Britain ‘needed some kind of force, some kind of shelter, something to stand with. When we looked around to see what there was, it was Rastafari that stood out’. This assertive and strengthening ally from within was unprecedented in the black liberation struggle. For Linton Kwesi Johnson its emergence represented a new stage ‘in the development of the consciousness of the oppressed’, where they could launch a credible, non-violent form of rebellion. Attacks from local residents, parts of the West Indian community and the police – as shown in Brown’s Shades of Grey report in 1977 – only vindicated Rastafarian beliefs and strengthen its follower’s resolve. While it didn’t improve their material conditions – Burton described how Rastafarians would meet in a hut on a bomb site in St Paul’s – it provided a ‘new cultural space’ for this marginalised group to exist within. How did Rastafarianism come to occupy this new space in Britain? The Black Power movement laid important ideological foundations, despite its success being relatively small. First it acknowledged there was a problem exclusively for black immigrants. It then identified the source and offered active solutions, in contrast to mere refuge offered by Pentecostalism. In theoretical terms, it suggested the plight of blacks in their host country was inflicted by colour, thus unifying them by race, social standing and heritage. While the methods and core beliefs were different, Rastafarianism seized upon and strengthened the ideas and relationships initiated by Black Power. So when this new musical form spread from Jamaica that contained the Rastafari doctrine, the more politically conscious audience was already attuned to some of its ideas. Reggae proved an effective agent for disseminating this message, and in Britain’s concentrated urban centres of black youth, the sound system provided the perfect tool. London and Birmingham were the first consumers but Bristol was just behind. You’re seduced by the sound then the people that run it. If I’m hearing a thunderous bass from 200 metres away, I’m going to follow it until I come next to a speaker. And then I’m marvelling how that speaker produced that sound. That will take me back to the turntable, the record on the turntable, then the producer on the record. Sound systems also had an important political role. One of reggae’s defining features was its capacity to express the harsh realities of people’s lives, and sound systems were the most democratic way of fulfilling this, expanded on below. Peter D Rose, part of Bristol’s Smith & Mighty, cited London’s Jah Shaka as one of the first sound systems that was dedicated to spreading a ‘conscious message’. Because reggae was kept away from the public sphere in 1970s Britain, the sound system became an important tastemaker for black youth. They would start new fashions, dances and song crazes, for each would have connections to labels, studios or systems in Jamaica. As a result, they became the ‘single most important factor in breaking a record’. It was like having a ‘Jamaican radio on your doorstep’, an invaluable musical connection to their cultural homeland. Locally they gave a voice to a silenced community, providing a platform to discuss and air political grievances for people ‘otherwise excluded from meaningful social dialogue’. The conversation between the deejay and the audience was key to sustaining this, with the former taking the lead by talking over the dubs in a method called ‘toasting’. They were spokesmen for the community, retreating into strong patois to construct a counter-narrative centred on black suffering. As explained in the introduction, this parlance was highly significant. For deejays, this language became an ‘aggressive assertion of racial and class identity’, and an effective form of resistance. The audience dictated what music and message was acceptable, in a call-and-response technique similar to digging songs on plantations and the Pentecostal Church. The latter was a source of inner strength for ex-slaves and then first generation migrants in Britain, but for their children, this was supplied by the sound system. It’s democratic element also made reggae different from other pop music. It selected and distributed what was important to black youth in a process of ‘cultural reterritorialisation’, and simultaneously served as a soap box and itinerant club. A musical plebiscite for the under-represented. While Henry describes sound systems as a ‘cathartic’ experience for listener and deejay – note the comparison with Pryce’s impression of the blues – studying the music made by black youth in Bristol that grew from this culture is arguably more valuable in analysing its scene. Talisman and Black Roots are considered Bristol’s foremost reggae bands, but their contrasting background and style reveal the variety of the scene they helped create. Their songs’ content was more closely related and they provide an important insight into Bristol in the 1970s and 1980s for black youth. Black Roots formed in 1979 after the factories where they worked closed. They specialised in roots, a slowed-down, bass-heavy form of reggae that emerged in Jamaica in the late 1960s, replacing the more melodic rocksteady. Talisman also formed in 1979, but were self-proclaimed ‘sweet boys’ and were ‘well educated’, disproving Pryce’s assertion that Rastafarianism and reggae appealed to more than just the disreputable. Their sound contained more pop sensibilities with more prominent melodies, a strong verse-chorus structure, and their music wasn’t mixed with the bass-heavy sound that drove sound systems. This made them more effective as a live band. Understanding Talisman’s background undermines Pryce’s assertion that ‘almost all’ Jamaican and English reggae artists were either ‘delinquents or ex-hustlers’ or came from ‘deprived backgrounds’. Darby even argues Bristol was characterised by middle class and lazy youngsters, with ‘no real fighting hunger, no street-wise mentality’. Somewhere in the middle is more appropriate. Black Roots are the embodiment of a counter argument to Darby, while Pryce was criticised for ‘glorify[ing] the lifestyle of this twilight world’. Also his social distinctions were too rigid and did not take into account the universal appeal of reggae and Rastafarianism, nor the integration that both encouraged within the black community. Walking the streets to kill time. And now they must commit crime. Pressure, they bring to bear on me. Stab you in the back, smiling on their faces. Through Dehvan’s connection to the bible, he used the analogy of ‘dee wicked fighting down dee innocents’ and, by extension, incorporating the Rastafarian notion of fighting this. Other songs mentioned a consequence of this unemployment; the deteriorating relationship between police and black youth. In Tribal War, Black Roots compared sectarian violence in Ireland and civil wars in newly independent African states with the tribalism between police and black youth in Bristol. Looking back to the early 1980s in the city, Ngozi recalled ‘you go certain places after nine o’clock, you guarantee as a black yoot you’re going to get arrested’, more from suspicion that actual wrongdoing. This police response stemmed from a long-standing belief in the English psyche, associating criminality with black immigrants. In the late 1940s, clusters of profligate decommissioned soldiers and single male immigrants seeking work created anxieties about miscegenation. In the 1960s, attention focussed on inner city deterioration and in the following decade, unemployed youth threatened Britain’s civilized streets. All three were based on ill-founded prejudices. Ngozi attributed the latter to a ‘lack of understanding’ from the police, explaining it was a Jamaican culture to gather on the street. Rather than recognising this, authority adopted a ‘change and be like me’ attitude, outlawing this inoffensive behaviour and combatting it arbitrarily because street-corner subculture mixed criminals with the majority who weren’t. Law enforcement and prevention was prioritised over community liaison, meaning perceptions of the community were based solely on contact with criminals and suspects. The introduction of Unit Beat Policing in the late 1960s took police off the street and into cars to increase their coverage of an area. This resulted in what Gilroy described as a ‘spiral of conflict’, whereby seemingly unjustified Police stop and searches under the ‘SUS’ laws encouraged a stronger backlash and increased criminality. Because such treatment was from police, it was particularly difficult to bear. As Bristol musician Popsy Curious explained, they should have been ‘educating the younger ones to live together in peace’, instead they were seen as the aggressors. Tension peaked on 2 April 1980, when police raided the Black & White Café sparking a riot. Given the high esteem in which the café was held in the community, as discussed above, it is no surprise it was the source of the conflict. Simbarashe Tongogara, who became a community spokesperson after the riots, saw the uprising as an inevitable consequence of the deep betrayal the community felt: ‘I didn’t want my children growing up in a society where they felt they had rights but were scared to defend them in case they went to jail’. Warnings were given by Pryce, in annual reports from Bristol’s Community Relations Council, and from Bristol MP Arthur Palmer, but not enough was done to settle the issue. In the late 1970s and early 1980s it was difficult to be young and black in Bristol, but with Rastafarianism, reggae found strength in this suffering and the vitality of the city’s scene reflects this. Youth clubs offered spaces for aspiring bands to practice, which was where Othieno started The Cavaliers in 1971. They also appeared at many others, including the Inkworks, before progressing to more established venues. When the Cavaliers became the Revelation Rockers then Talisman, similar opportunities were given by Ajax in his famous Ashley Road blues basement: ‘he supported anyone wanting to succeed. We were trying to do something, we were good boys, so he gave us a break’ and allowed them to practice for free. In a similar gesture to the regular meals offered by the Black & White Café for homeless adolescents, Ajax recognised the restricted circumstances for black youth and he was well placed to view this from a musical perspective. By the 1970s, the spaces he owned were similarly popular with the new generation as they had been in the 1960s. As Dehvan explained, ‘coming back from a gig when it was too early to go to bed, you’d just go down the blues. They were a social venue where African-Caribbeans went to enjoy their stuff. Two decades after their introduction, they were still illegal but had cemented themselves as ‘Bristol institutions’ for the West Indian community. More formal venues were also popular, the most famous being the Bamboo Club, which hosted international reggae artists like Desmond Dekker, Jimmy Cliff and Matumbi. According to Bristol musician Bunny Marrett, it was the first to host Bob Marley in the UK and ‘he felt like he was in Jamaica because of the atmosphere’. The unique space the club gave the West Indian community, plus the international bookings thanks to Bullimore’s connections to London agents, brought the club worldwide acclaim. Tony recently described how ‘people used to fly into the country, arrive in London from Ghana…and they’d come all the way from London just to spend Friday and Saturday at the Bamboo’. His efforts inspired other venues to open, so even after it burnt down in 1977, the scene remained strong. The Dockland Settlement, the Western Style Domino Club, the Green Rooms, Blue Lagoon, the Inkerman, the Criterion and the Plough all catered – although not exclusively – for West Indian audiences. They hosted the next wave of sound systems like Commander, Steel Water, Roots Spot Crew, Kama Dread, Addis and Henry & Louis. Even the University of Bristol – though sadly not anymore –supported home-grown talent in the Anson Rooms, the Epicurean Bar upstairs, or at their annual balls; at the latter, Black Roots played to nearly four thousand people. Dehvan revealed ‘there was one time they called Bristol “Little London” because of the culture and the nightlife’, even over places like Manchester and Birmingham. So although Bristol lost the ‘heart of entertainment for Black people in the West Country in 1977’, a scene had developed which embraced the energy and needs of its residents. At the peak was Black Roots and Talisman, whose popularity went beyond Bristol. John Peel was one of the first BBC DJs to play reggae and it was among the few genres remaining constant throughout his broadcasting career. So impressed was he by Black Roots, he said “if anyone tells you that there is no such thing as good British reggae, first tell them they’re a Herbert, and then listen to Black Roots’. In 1981, the year of their first of two Peel Sessions, they supported John Holt at Hammersmith Palais performing to 2,500 people,  and joined UB40 on a European Tour and appeared at Rock Against Racism and Glastonbury. Talisman recorded a Peel Session in September 1981 and as a mixed race band, their marketability as a live outfit capitalising on the punk-reggae crossover. As a result, they supported The Clash and The Rolling Stones at Ashton Gate. Why then, given its strong live scene and two successful exports, is Bristol not viewed alongside London and Birmingham in histories of reggae in Britain? There are few academic works dedicated to this, and is only covered with brief chapters in general works on popular music, youth subcultures and music geographies. Within these limited resources, Bristol gets only passing mentions without any detailed attention on the scene itself. As demonstrated this is not because material was lacking, so perhaps the scene represented itself poorly. There are two reasons for this. First is population. While Bristol’s size made it financially viable for international artists to play there, different economies of scale applied to recording and releasing music. The process was expensive and risky because the product was marketed to ethnic minorities. London and Birmingham had larger black populations, but this was enhanced by the ‘small, but significant’ Asian population who bought into the genre; the subsequent Bhangra-Reggae crossover proves this. Black Roots came close to a deal with EMI but they were not prepared to make their lyrics ‘more conservative’, to increasing their accessibility. Bristol musician Dallas suspected EMI were looking for ‘cheesy pop songs…[not] the guys who are saying, “hang on here I am hungry”’. Talisman’s content was softer, but were limited by their output of just two albums up until 1990, compared to Black Roots’s ten. Fortunately, they were signed to Recreational Records, set up by Revolver Records after owners Lloyd Harris and Chris Parker heard Dole Age. Revolver were part of Cartel, a co-operative of distributors, which put Talisman in a strong position to publicise and sell their single in the South West. Despite this, Othieno admitted ‘we didn’t think about the business side, we just saw the audience and wanted to play to them’. This became the focus for both bands and if the less marketable Black Roots had never played live, ‘nobody would know our music’; Ngozi’s openness here reflects how the band accepted the difficulty of selling their music. With little major label support, one of few options for Black Roots was to set up their own label, Nubian Records. Unlike Trojan, (a subsidiary of Island Records) which supplied the demand for reggae in London Nubian’s establishment was further reflection of the lack of infrastructure and support for bands in Bristol; the second factor. This factor relates to informal and formal support for musicians, from the community, other musicians and music industry representatives. Ngozi’s criticism of a lack of support in Bristol could be perceived rather than an actual truth, considering reggae mainly appealed to an ethnic minority in a city with less than half a million residents. Accussing Ujima Radio of not playing enough local music is valid though, and rightfully expected; this, he believed, was not experienced by Aswad in London and Steel Roots in Birmingham. Easier to quantify for musicians was the lack of unity with each other. Dallas revealed that even though ‘there were loads of shows happening, we couldn’t get anything together collectively’. Black Roots and Talisman never performed together or appeared on the same record until 2011, and journalists have suggested ‘there was a bit more to their relationship than professional rivalry’. This is unfounded and strongly refuted by Darby, arguing that although they were two popular bands co-existing in a small city, their far-reaching live appeal meant they weren’t competing for the same market to qualify them as ‘rivals’. As head of BAR, Darby’s work offers another insight into Bristol’s amorphous reggae infrastructure. Since 2008, BAR have released three Bristol Reggae Explosion compilations of old recordings and long-lost demos from 1977 onwards and with the wealth of material available, he foresees another three being made. 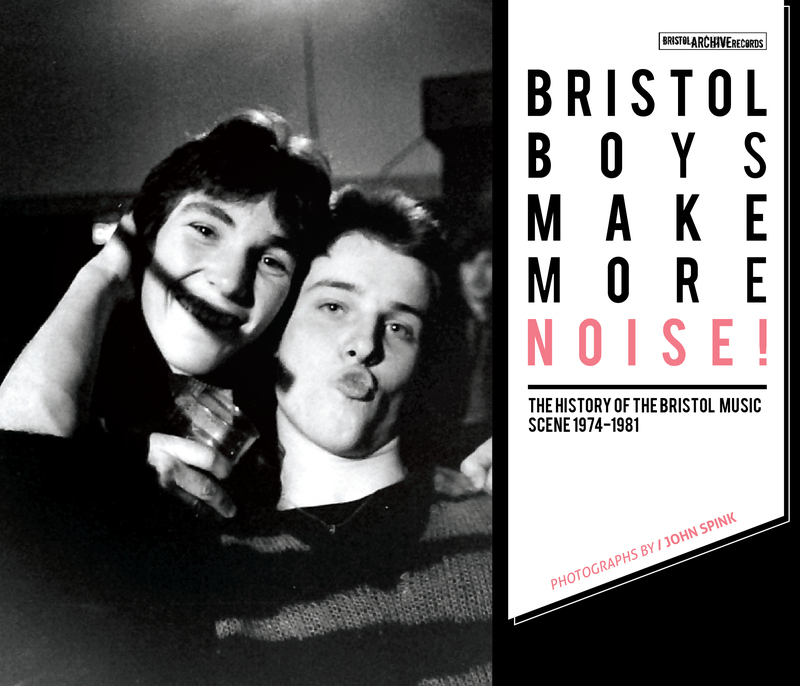 They are not just a collection of tracks, but carefully assembled histories, ‘rewriting [Bristol’s] musicalstory and shining the spotlight on the many artists who missed out first time’. They are also supplemented by a huge archive on BAR’s website, containing interviews with countless reggae musicians. 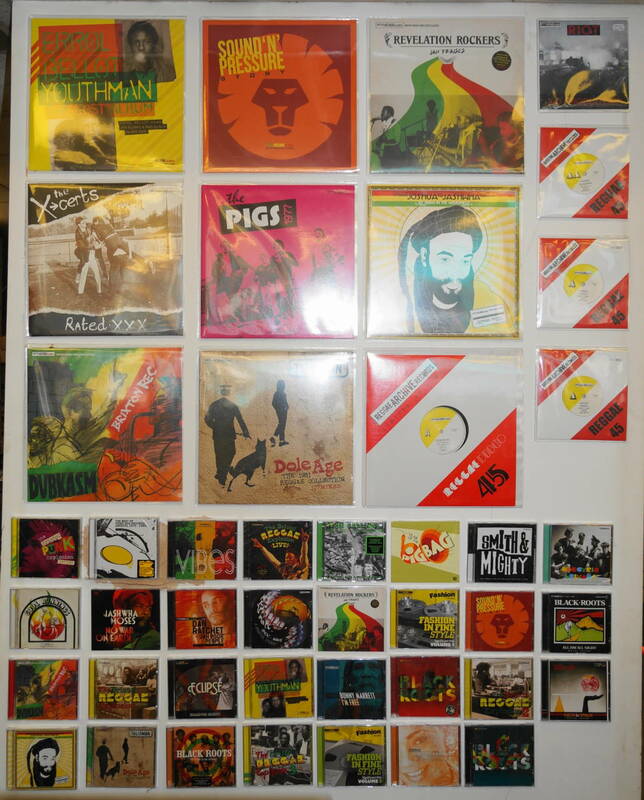 This collection is made possible by and therefore proof of the lack of formal music infrastructure for reggae in Bristol. Very few of the musicians developed their work beyond demos and therefore the demand for lawyers, managers, accountants and publishers was small. Darby thought this was because they were ‘lazy and expected it to happen. They made a demo, played it to their mate, then split up the next week because they didn’t get a major record deal’. Despite making music, they were never a recognised part of the music industry, and therefore remained unknown. Compared to London and Birmingham, Bristol’s reggae scene suffered then for this lack of drive but subsequently made their work and personal histories more accessible for BAR, enabling them to create an ‘unrivalled’ historical resource. With the increasing academic interest that British reggae is experiencing at the movement, BAR’s archive is ensuring Bristol’s story is not only gaining great exposure, but is making a credible contribution to historical discourse. After speaking to Bristol musicians and reading numerous other interviews with them, one gets the sense that this lack of fame and fortune doesn’t concern them. While this might seem surprising in a modern, capitalist society, these were not the principles on which Rastafarianism and reggae were built. The music, it’s philosophy and the blues and sound systems developed as a means of drawing strength from restricted circumstances and Pryce was right to see them as a ‘comfort’. While much of this has since been absorbed by popular culture for financial gain, it is a credit to the British originators that they were not concerned with money and fame. The Bamboo Club was not driven by profits and neither, to this day, is BAR. Punk is also released by the label and Darby applies its spirit to the running of the whole label: ‘if you make music to make money, you’re not making music’. Perhaps it is missing the point to ask whether there is a Bristol sound and why it didn’t compete with London and Birmingham in the music industry. By trying to pigeonhole a sound in a particular space and time and presenting it under a marketable banner is the often-criticised job of the music journalist not the historian. While it might make identification and comparison easier, it only recognises the sounds that are distinct and significant in the present, not the past. Two-tone in Birmingham experienced this, as did Madchester in the late-1980s, but they weren’t ‘scenes’ anymore than Trip-Hop was in Bristol the following decade. Each simply contained a group of musicians from the same city who made similar sounds because they were influenced by the same local culture. This local stimulus is what is historically important, and for Trip-Hop this was reggae in Bristol, coming about with the migrations after 1945 and leading into the ‘tribal war ina babylon’ in the 1970s and 1980s. This was the Bristol where you could form a band, preach frustration and rebellion in local pubs and clubs, and then break up before anyone outside the city had heard of you. Where you were among many others doing the same, enabling young fans like Darby to attend four or five gigs a night. Where deejays and sound systems vied for the ‘boss sound’ in the city and protected each other when the police wouldn’t. Where black youth rioted in 1980 as an expression of their disaffection, a year before they felt compelled to do the same in London. This is the lesser-known history of Bristol, without which Trip-Hop would not have existed, yet one that has been neglected because it was similar to other urban spaces in Britain. While the observations recorded in this dissertation do not offer a new perspective on British musical history, it gives greater substance to a genre and minority group who are still underrepresented. Perhaps, though, it was never the intention of those involved for them to be part of a British musical and social movement. Rather it was simply a coping mechanism in a restricted environment, for themselves and their contemporaries in similar circumstances. It therefore seems appropriate to allow one of the sufferers to express this sentiment, capturing the essence of reggae’s role in the West Indian journey to Bristol: ‘even if five people hear it and it be a comfort to them, it be cool. We give thanks the same way. We have this belief in life of what will be must be’. B. Marrett interviewed by Dubplate to Dubstep, Ujima youth project, undated. The 1975 report warned: ‘we have noticed a change in the attitude of some members of the Police Force which has led to harassment of youngsters’. See Hebdige, Cut ‘n’ Mix; Henry, Regge, Tasta and the Role of the Deejay; and de Koningh and Griffiths, Tighten Up! The very wonderful wall display in Plastic Wax Records, Gloucester Road, Bristol demonstrating the size and quality of our labels back catalogue. You can also buy our releases from the fantastic rise records in clifton, payback, wanted, genesis, hedd and we’ll back very soon in hmv and fopp now that they’ve renegotiated terms with SRD. Bristol not only has a fantastic archive record label but has lots of amazing record shops as well – keep music real and support vinyl and cds.